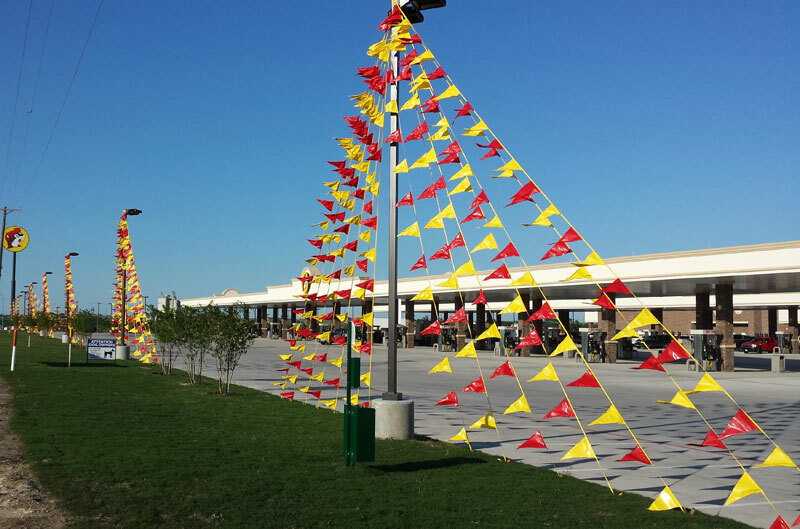 Pennants are long, 100 ft. strings with brightly colorful flags that compliment any event or promotion. They are extremely versatile and can be strung from one end of your parking lot to the other or from lightpole to lightpole, or even in your store. Pennants flutter and flap in the wind, creating the finishing touch your event needs. Like our outdoor advertising products, pennants are a cost efficient way to draw attention and promote your San Antonio area business.